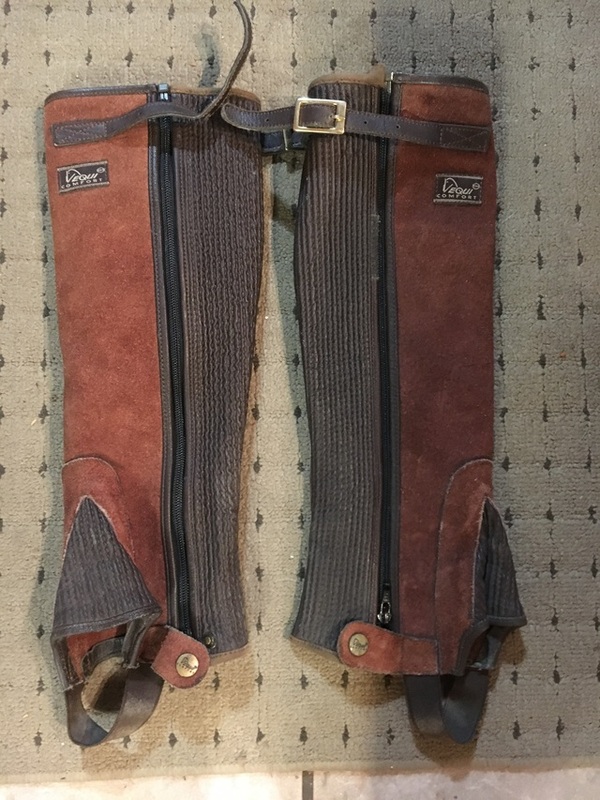 I am not using them anymore they are in really good condition, they look like brand new, good quality half chaps with leather stretch expansion gusset. Size Small, brand Vequi-comfort. I used them a handful of times.